Machine Learning has been instrumental in analysing data, both: large scale 'big' data and also for the analysis of 'small' data. This talk will discuss the scaling challenges for kernel methods and deep neural network approaches. If time permits, I will discuss applications in the neurosciences (in particular brain computer interfacing) physics and social media. Professor Klaus-Robert Müller has been Professor for Computer Science at TU Berlin since 2006; at the same time he is directing the Bernstein Focus on Neurotechnology Berlin. 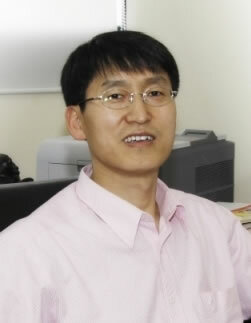 Since 2012 he is distinguished professor at Korea University within the WCU Program. He studied physics in Karlsruhe from 1984-89 and obtained his PhD in Computer Science at TU Karlsruhe in 1992. 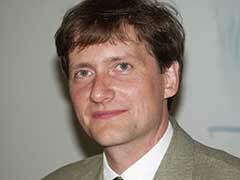 After a PostDoc at GMD-FIRST, Berlin, he was a Research Fellow at University of Tokyo from 1994-1995. From 1995 he built up the Intelligent Data Analysis (IDA) group at GMD-FIRST (later Fraunhofer FIRST) and directed it until 2008. 1999-2006 he was a Professor at University of Potsdam. In 1999, he was awarded the Olympus Prize by the German Pattern Recognition Society, DAGM and in 2006 he received the SEL Alcatel Communication Award. He is an author of more than 300 peer reviewed papers and has edited several books and special issue. In 2012 he was elected to be a member of the German National Academy of Sciences – Leopoldina. His research interests are intelligent data analysis, machine learning, big data, signal processing and Brain Computer Interfaces. Recently we has expanded his interests towards the application of Machine Learning techniques in quantum physics and material sciences. Data stream mining became recently a very challenging task in the data mining community. Unlike the static dataset, data stream is of infinite size. Data elements arrive to the system continuously, often with very high rates. Moreover, the concept of data can evolve in time, what is known as the concept drift. For these reasons, commonly known data mining algorithms cannot be directly applied to the data streams. In this presentation we focus on classification problems for data stream. A review of available techniques is presented and new algorithms, published in  and , are described in details. Professor Leszek Rutkowski received the MSc and PhD degrees from the Technical University of Wroclaw, Poland, in 1977 and 1980, respectively. Since 1980, he has been with the Technical University of Czestochowa, where he is currently a professor and chairman of the Institute of Computational Intelligence. From 1987 to 1990, he held a visiting position at the School of Electrical and Computer Engineering, Oklahoma State University. His research interests include data stream mining, big data analysis, neural networks, fuzzy systems, computational intelligence, pattern classification, and expert systems. He has published more than 200 technical papers, including 22 in various series of IEEE Transactions. He is the author of the following books: Computational Intelligence (Springer, 2008), New Soft Computing Techniques for System Modeling, Pattern Classification and Image Processing (Springer, 2004), Flexible Neuro-Fuzzy Systems (Kluwer Academic, 2004), Methods and Techniques of Artificial Intelligence (2005, in Polish), Adaptive Filters and Adaptive Signal Processing (1994, in Polish), and coauthor of two others (1997 and 2000, in Polish) Neural Networks, Genetic Algorithms and Fuzzy Systems and Neural Networks for Image Compression. He is the president and founder of the Polish Neural Networks Society. He was an associate editor of the IEEE Transactions on Neural Networks (1998-2005) and IEEE Systems Journal (2007-2010). He is an editor-in-chief of the Journal of Artificial Intelligence and Soft Computing Research, and he is on the editorial board of the International Journal of Applied Mathematics and Computer Science (1996-present) and the International Journal of Biometric (2008-present). He is a recipient of the IEEE Transactions on Neural Networks 2005 Outstanding Paper Award. He served in the IEEE Computational Intelligence Society as the chair of the Distinguished Lecturer Program (2008-2009) and the chair of the Standards Committee (2006-2007). He is the founding chair of the Polish chapter of the IEEE Computational Intelligence Society, which won the 2008 Outstanding Chapter Award. In 2004, he was elected as a member of the Polish Academy of Sciences. In 2004, he was awarded by the IEEE Fellow Membership Grade for contributions to neurocomputing and flexible fuzzy systems. According UNESCO, Open Educational Resources (OER) are teaching, learning and research materials in any medium, digital or otherwise, that reside in the public domain or have been released under an open license that permits no-cost access, use, adaptation and redistribution by others with no or limited restrictions. OER have been recognized as an important mean to improve the quality of education as well as the equality in the access to quality education. The amount and forms of OER have increased remarkably in the past few years. OER are stored and managed by various organizations and in different locations making their search and access difficult. Moreover, OER from more than one source are normally integrated or bundled to create new OER and use. Therefore, the identity and connection of OER play a crucial role in the efficient access and utilization of OER. In this talk I will demonstrate how Linked Data, a Semantic Web technique, could be used to identify link OER so that they can fully utilized. Linked Data is a best practice to publish data on the web so that it is readily shared, exchanged and reused. Linked Data employs widely accepted, open standards; hence its implementation is not costly. Dr. Vilas Wuwongse obtained his B.Eng and M.Eng in Control Engineering in 1977 and 1979, respectively, and D.Eng in Systems Science in 1982, all from Tokyo Institute of Technology. He was a faculty member at the Asian Institute of Technology (AIT) from 1982 to 2012 during which he also served as a Division Chairman, the Director of AIT Center in Vietnam and a Vice President. After serving shortly as a professor at the Faculty of Engineering, Thammasat University, he has helped the Crown Property Bureau Equity in its educational projects. He will become the President of Asian University from 1 May 2014. Dr. Wuwongse has chaired or co-chaired a number of international conferences and is serving as an editorial board member of international and national academic journals. His current research interests include semantic web, linked data, metadata, e-Learning, e-Research and research management. In the talk, I will show that how computer vision (CV) in near future will be used for real application. Computer vision has been investigated into mainly two tracks in real implementation for a few decades. The first one is the track where or what it can be used as an application target. Typically it was under development by investigation for its usability as in the case of intelligent transportation system(ITS). Still, it is a big challenge of real implementation into the near society succeeding to accomplished road tests in many developed countries. The second one is mainly how to implement the various methods of CV to combine them in realtime as a processing level. Even though there were so many methods have been developed in a well defined domain as a special case study for a long time, it would be challenges how they are admissible enough for real implementation. This has been a long time project for the scientist and engineers so that the new horizon is ready to open up to realtime implementation. As a summary, the most impactful characteristics of CV is being used by its visual information which delivers 2D or 3D to make the information useful to acquire the ambient intelligence from each or sequential image. This information is of course a kind of sensor information, however, which evolves for wide areas of the application as we human being use the visual information in our daily life. Thus, CV encompasses wide areas of applications and challenges as well even though researchers had found for a long time. This trend will go continuously even though many types of trials had been done by the anonymous researcher had worked in a superimposed fashion. In this talk, a few case studies of real ITS or vehicle application and realtime implementation using CV technology will be addressed. This will be required for further study which may be on the right corner to be implemented in a wide area application as well as at a sudden happening in the near future. Professor Jo, Kang-Hyun, Ph.D., had graduated and obtained the BS from Busan National University and both MS and Ph.D from Osaka University, in 1989, 1993, 1997, respectively. After experienced in ETRI (Electro-Telecommunication Research Center), in Korea as a Post-Doc. Research Fellow. Since 1998, he has been with University of Ulsan, Korea as a full time faculty member, now as a Professor while in charging of Intelligent Systems Lab. He has served as the vice dean of e-Vehicle Graduate Institute during 2007-2009 and continuously the vice dean of College of Engineering during 2009-2011. He also had been stayed in Kyushu University and KIST (Korea Institute of Science and Technology) during 2005 to 2006, Oregon State University during 2007 summer and UC Riverside during 2013 to 2014 as a visiting scholar. He has been served as a director of many societies: ICROS (Institute of Control, Robotics and Systems), KMMS (Korean Multimedia Society), SICE (Society of Instrumentation and Control Engineers, Japan), as well as IEEE IES TC-HF (Human Factors Technical Committee) Chair. He is currently contributing himself as an (associate or guest) editor for a few renowned international journals, such as IJCAS (International Journal of Control, Automation and Systems), TCCI (Transactions on Computational Collective Intelligence), and IEEE IES TII (Trans. on Industrial Informatics), etc. Now he has been made a variety of contributions for managing and organizing conferences, workshops and other academic gatherings as many roles as publication, local arrangement or holding chairs with the variety of international conferences: ICIC (International Conference on Intelligent Computing), ICCAS (International Conference on Control, Automation and Systems), and FCV (International Workshops on Frontiers of Computer Vision), HSI (International Workshops on Human System Interactions) and ICCCI (International Conference on Computational Collective Intelligence) as a steering member. Currently, he is working as a member or director of many societies such as KROS, ICROS, KMMS, SICE and IEEE to name a few. Until now, he had published more than hundred technical papers after peer reviews.